A privileged white man professes remorse for smoking pot. But it’s not privileged whites who would pay for his sins. 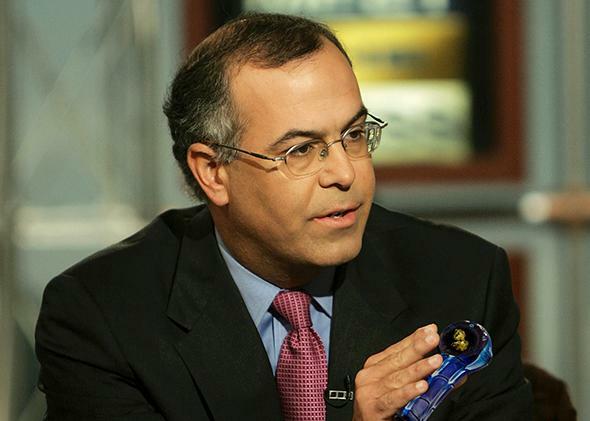 In this photo illustration, New York Times columnist David Brooks prepares to smoke a bowl while speaking on NBC’s Meet the Press in 2005. I will live a long time and not forgive the Internet for making me read David Brooks’ New York Times weed opus. If you missed it, I apologize in advance. This week Brooks responded to Colorado and Washington state’s recent decriminalization of marijuana with a retrospective on his own experience smoking the wacky tobacky. In “Weed: Been There. Done That,” Brooks makes a case for a “moral ecology” that curbs individual freedom for the collective betterment of potheads who would be better served devoting their energies to higher aspirations like running track. It’s typical PREAM linkbait. But in linkbait there are often unexamined body counts, and the bodies are often brown. Last summer the ACLU released a report, based on federal arrest data and self-reporting, that examined racial disparities in marijuana arrests. It found that more than half of all drug arrests in 2010 were for marijuana possession. Self-reports of drug usage show that whites use marijuana just as much as blacks, yet blacks are more than 3.5 times more likely to be arrested for marijuana use. Racial disparities in arrests and sentencing guidelines have largely focused on the egregious legal distinctions made between powder cocaine and its derivative form of crack cocaine. Crack is disproportionately used by poor and minority drug users, and powder cocaine is largely a wealthy, white recreational drug. (Michelle Alexander does a great job of detailing the devastating effects of this racialized and classed distinction on African-American communities.) But the racial discrepancies in marijuana arrests are just as significant. For example, the ACLU makes a passing mention of the link between federal student aid and drug convictions in its report—African-Americans, particularly African-American men, are more likely to be arrested for recreational drug use and consequently barred from receiving financial aid to pay for college after paying their debt to society. We can thank Bill Clinton for that. In 1998 the president who had coyly admitted to getting high (“I didn’t inhale”) saw fit to sign a bizarre drug-conviction restriction into federal student aid policy. I say “bizarre” not only because the law would have disqualified him from taking out a student loan to go to Yale had he been arrested with his un-inhaled joint back in the day. It’s also bizarre because there was no huge social clamor for the amendment. It’s not as though roaming bands of potheads were banging down the doors to financial aid offices, leaving seeds and stems on the office furniture. The amendment was purely a moral invective from a single House member: Republican Mark Souder. The reauthorization mandated, “A student who has been convicted of any offense under any Federal or State law involving the possession or sale of a controlled substance shall not be eligible to receive any [federal] grant, loan, or work assistance.” The clause prevented those convicted of even minor misdemeanor weed possession from applying for student aid for one year after one offense, two years for two offenses, and indefinitely after multiple offenses. Incidentally, the racial disparities in marijuana arrests highlighted by the ACLU last year were already evident when Brooks graduated high school in 1979. Data from Human Rights Watch show that in 1979, blacks made up just over 10 percent of drug users but African-Americans accounted for almost 22 percent of drug-related arrests. Almost 88 percent of whites from Brooks’ cohort that year reported using drugs, but whites accounted for 76.7 percent of drug arrests. When Clinton added the conviction restriction to federal student aid policy in 1998, civil liberties groups pointed out these historical disparities, to no avail. Clinton’s new student aid rule was exactly the kind of superior moral ecology for which Brooks advocates. I have seen firsthand that such moralizing is anything but benign. And when it becomes codified in legal statutes such as the Higher Education Act, the effects for the poor and minorities are disastrous. In 2004 I was working in a career cosmetology school. Most of the students were women. On occasion a man would set up an admissions appointment. Almost all of those men were black and were trying to rebuild their lives after serving time. They would come to the cosmetology school because it was one of the few that offered full financial aid—grants and loans—to pay the tuition. They did not want to do women’s hair, but in North Carolina, a cosmetology license also credentialed hair cutting, i.e., barbering. In the black community, barbering has a long history of incubating black business ownership. Like black salons for women, barbershops have afforded black men a chance to earn legal income when racism and criminal convictions shut them out of the labor market. Excessive professionalization of the field has increased the financial costs of setting up a shop and narrowed that opportunity to one of self-sufficiency. The men who came to see me really wanted a barber’s license. But they were willing to absorb the extra cost and time to get a cosmetology license if it meant being able to finance their tuition. Paying $3,000 to $4,000 in cash to a barber school, out of pocket, without aid, is a considerable financial burden for poor men. It is especially cost-prohibitive if you’ve spent the last few years in jail and face the unwelcome job market for ex-offenders. In contrast, the $45 application fee at Empire Beauty School was manageable. I’ve written previously about how social conditions lend themselves to short-term financial forecasting for poor students in for-profit career colleges. For $45 a poor student could purchase a shot at a student loan for a license that could increase his earning potential. In the case of the men I met with, the increase they hoped for was basically anything more than the zero they could earn in the legal job market with a criminal record and few skills. I never enrolled a single black man at Empire Beauty School. None of them could get past the box on the federal financial aid form asking if they had been convicted of a drug offense. I turned all of those men away. Brooks’ rumination on his stoner days is kind of funny. It’s certainly elitist. But it is also an example of the two Americas we’ve fomented through legislative, cultural, and organizational boundaries that disrupt every single path for opportunity available for those not born to wealth and privilege. No one need make a black code anymore. They need only embed moral ecologies in laws that have nothing to do with morality and wait for systemic disadvantages in neighborhoods, schools, and racist policing to do the rest. I believe brother Langston Hughes asked us once: What happens to a dream deferred? Does it fester or explode, he asked—or does it just go up in smoke?